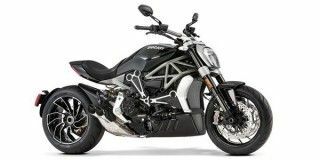 Harley’s latest corner carver goes head-to-head against the devil from Italy, the Ducati XDiavel. Let’s see who wins the spec-sheet battle! It is the first proper cruiser bike from Ducati and has been targeted to compete against other cruiser offerings by Harley-Davidson and Indian Motorcycles in the market. The devilish Ducati XDiavel is due for its launch in India on September 15. Here are some of the standout features the Italian manufacturer has equipped the power cruiser with.